We had now been in Canada for a week, and had covered a lot of miles at a bit of a whirlwind pace. It was now time to head south once again, as we needed to start the process of heading back home. We took the TransCanadian Hwy (2) for a bit, then 40 south which is called the Kananaskis Trail. This took us past the former 1988 Olympic Ski event venue, then we continued over Highroad Pass. 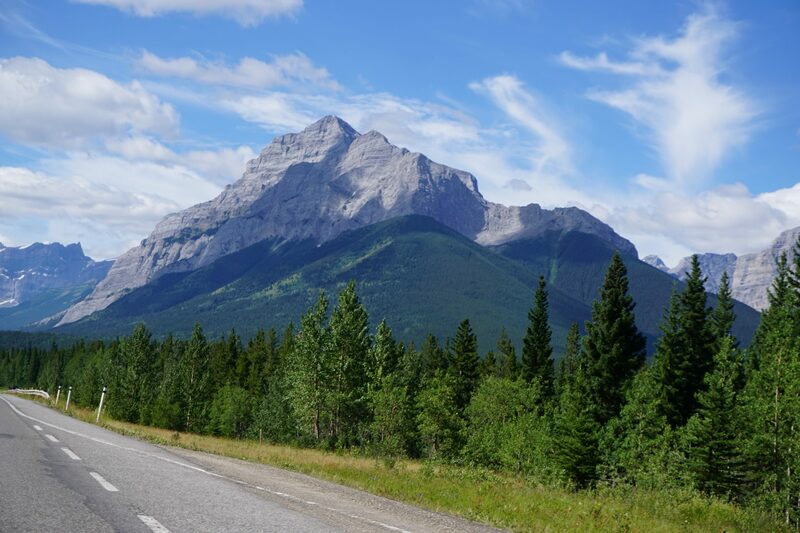 This is the highest paved pass in canada. and it is usually closed from December to June due to snow. Today it was beautiful, sunny, with sweeping curves and beautiful trees and mountains on each side. We stopped for gas and lunch in Longview. 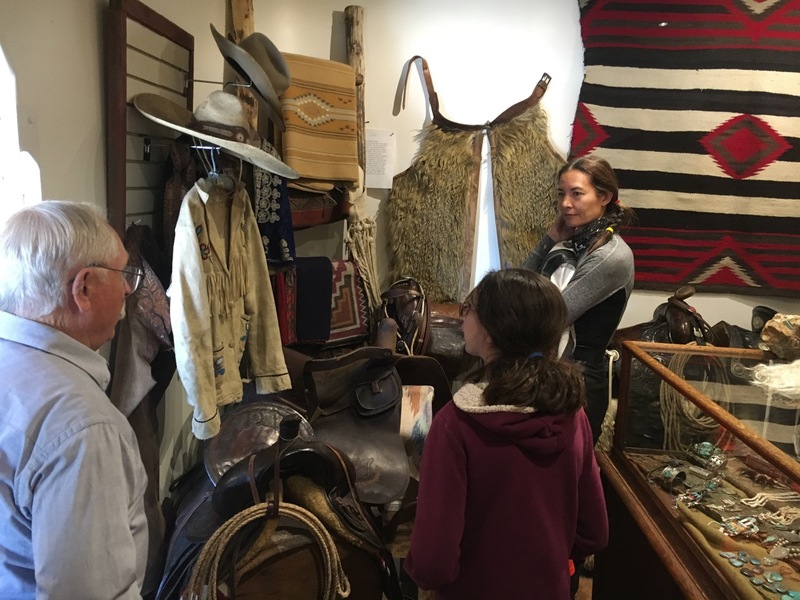 Right next door was a local art museum and we had a nice chat with the owners about the different horse saddles they had on display. They recommended that we stop at the Bar U Ranch, which was just a ways down the road. I am really glad we took their advice. It is part of the Parks of Canada system, so admission was free (all parks are free in 2017 to celebrate their 150th). We got to walk around what used to be Canada’s largest ranch. Frank took the lead and was telling the kids what some of the farm equipment was used for, but there were lots of friendly workers that would tell us about the ranch and all its workings. We were also treated to see the giant Percherons they use on the farm. Back in the day they had 1000 of these horses working on the farm. 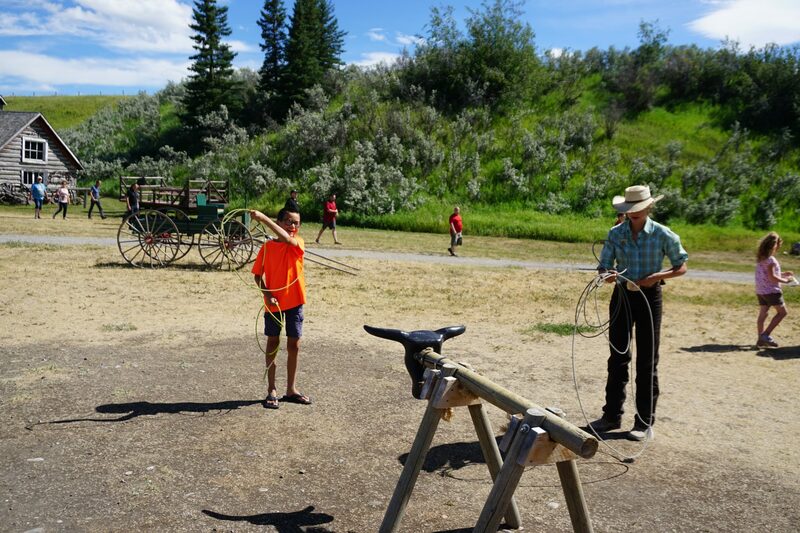 We all tried our hand at twirling a lasso and trying to rope a hay bale cow. We got to talking with the cowgirl that was teaching us and what a surprise, she goes to college in California, but comes back home and works on the farm during summer. Small world, aye? I had to fit that in before we left Canada. And wouldn’t you know it, we found another set of big red chairs! these ones were easy to spot as they were right out in the open compared to the other chairs we found at the other parks we had been to. Our final stop in Canada would be at the Cobblestone Manor Bed and Breakfast in Cardston. An unexpected and uniquely decorated place. 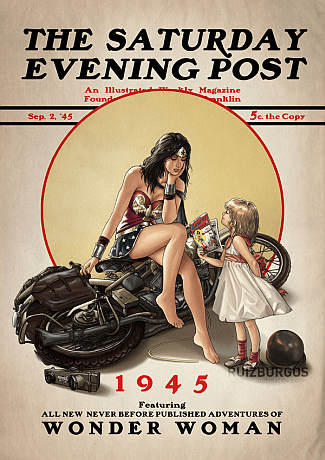 Tomorrow we would cross the border back into Montana.